Stores, Oswego (street scene) C.I. Turnell, located opposite present Lakewood School. State Street & Wilbur Street. OL#16. OA#16. Description [signs] Turnell Bros. Grocery, flour, feed, & bakery goods. 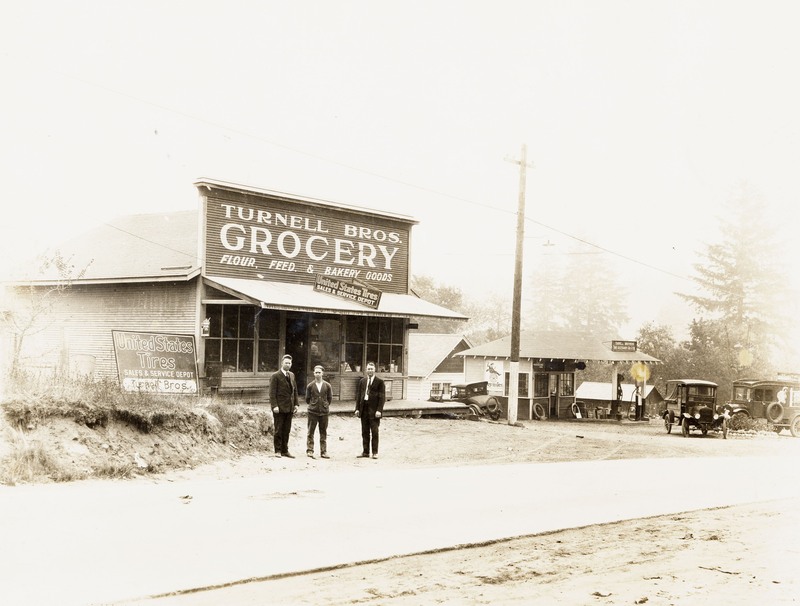 United States Tires, sales & service depot, Turnell Bros. Pearl oil. Red Crown Gasoline, buy miles. Havoline oil. Turrell Brothers, tires, accessories, gas, & oil. Transcription Stores, Oswego (street scene) C.I. Turnell, located opposite present Lakewood School. State Street & Wilbur Street. OL#16. OA#16. Physical Description H 6 1/4"" x W 8""